Visitreno :: View topic - One of those nights at the casino..
One of those nights at the casino..
Posted: Oct Tue 24, 2017 3:09 pm Post subject: One of those nights at the casino..
Not much activity going on here. Thought id post about my recent night at my local casino. Went up this past Saturday to Quil Ceda in Marysville, Wa. 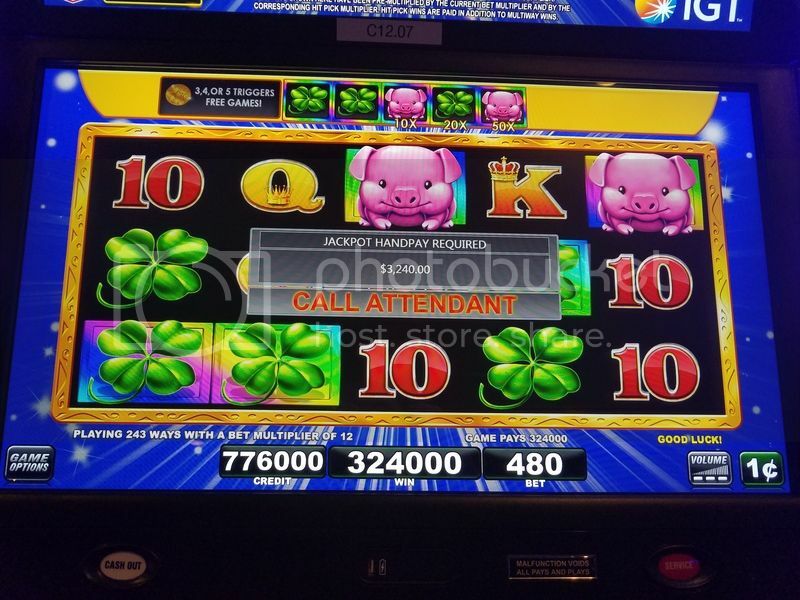 My friend had been there the night before and plays this IGT game called Power Charms. Started off with a $20 betting $1.60.. Immediately won over $100.00. Then i just kept winning.. Soon i was up to $1000, then $2000, Then $3000.. then $4000. Soon i was up to $4500. By this time it was a little after 2 a.m. I had decided to play a bit longer. I had been playing on this bank of 5 machines, moving around all night. This one machine had been a stinker all night. I just had a bonus on it betting $3.20 and only won $200. (Earlier in the night i was betting $1.60 on a diff one and won $700 in the bonus so i was hoping for a big one on a bigger bet) Well i hit max bet then this happens. I could not believe it. How insane is that? I had taxes taken out... Got paid.. then decided to leave. Left with $7100 in cash. Had security walk me to my car to make sure i was there safely. I still am in shock. Posted: Oct Tue 24, 2017 3:48 pm Post subject: Holy cow! To say that is fantastic is a gross understatement. All that play and wins on a $20 investment, awesome. But in all honesty, I don't think you should do that again until tomorrow. Congrats on a great win and thanks for sharing. Posted: Oct Tue 24, 2017 8:59 pm Post subject: Just another one of those nights, eh? I think Alison's time in Reno will be a thing of the past. After the awesome robbery she had in her backyard. Happy for You!